Mutsy is a European line that was founded as Mutsaerts in 1935. They got their start building traditionally styled prams but today they have developed a distinctive new line of innovative baby transport products. The Mutsy collection is expertly designed to meet parents’ every need with a unique modular system that is extremely flexible. The basis of the Mutsy range is three frames, each with its own specific features. 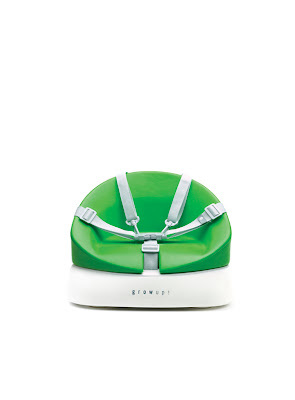 Various components fit into the clean and modern Mutsy frames such as a travel cot (bassinet), a stroller seat, a car seat (with adaptor), and a fun seat for toddler. An intelligent click mechanism allows for components to be easily interchanged with a single movement. This click mechanism is found on the Babysitter chassis as well, so the stroller seat can be clicked in to make a baby rocker. 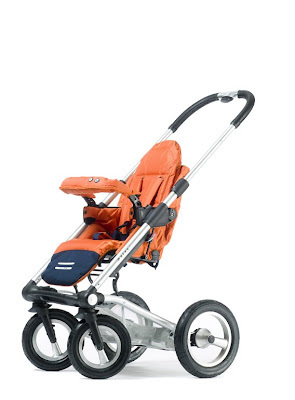 The flexible system also allows for a child to grow with his/her Mutsy stroller for many years. The Mutsy baby transport collection also features the Slider, a new baby mobility concept with a revolutionary design as well as the Easygrow High Chair and the Grow-Up! booster seat. As a mother of 3 young children I would LOVE all of Mutsy's product line! They are innovative, functional, and stylish all at the same time!! You can purchase the frame only, or the frame and seat, or frame and bassinet! 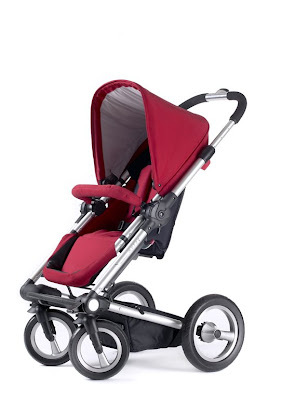 You truly get a unique stroller that exactly meets your needs!! 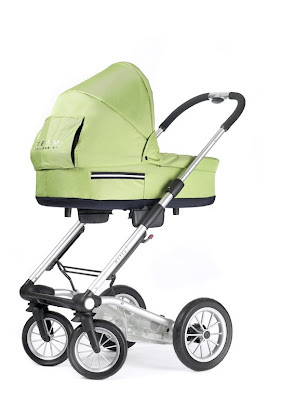 What's even better is that every Mutsy stroller accomodates children up to 55lbs (bassinet 30lbs) so you know you will get years of use from a single stroller. Mutsy also has a long list of celebrity clientele including Christina Aguilera, Halle Berry, Tiger Woods, Naomi Watts and Heidi Klum! Mutsy has kindly offered a 10% discount to my readers for any purchase made at Mutsy.com! Simply enter lmbb10 at checkout in order to recieve the discount. What are you waiting for?! Go shopping!! This is seriously amazing! I would have loved to have a stroller like this when my kids were stroller-aged! I'm passing this on to my friend who's getting ready to have a baby - she still hasn't picked a stroller yet.